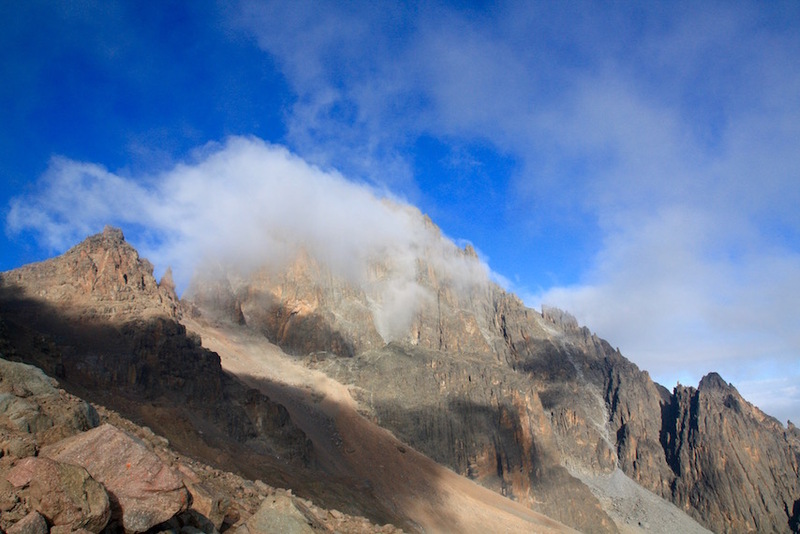 Mount Kenya is the second tallest mountain in Africa behind Kilimanjaro, and one of the main attractions when visiting Kenya. This volcanic mountain stands at 5,199 meters (17,057 Feet) and is a haven for experienced trekkers and mountain climbers. Most national parks in Kenya and in neighboring Tanzania are very expensive. However, the national parks in Kenya do not need a guide when hiking, unlike parks in Tanzania. This makes a huge difference in the cost for those who are budget conscience. Sure, hiking Kili is an amazing feat and for some, it is out of the question to hike somewhere else. 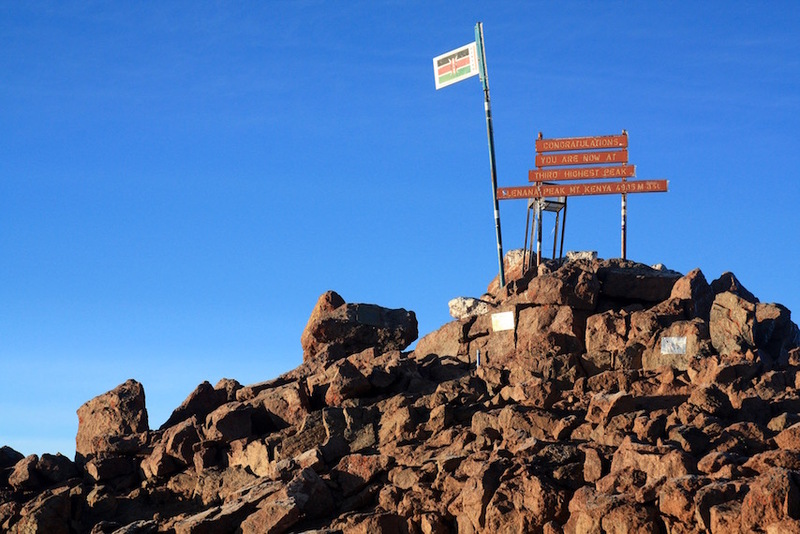 Tackling the tallest mountain in Africa is impressive. 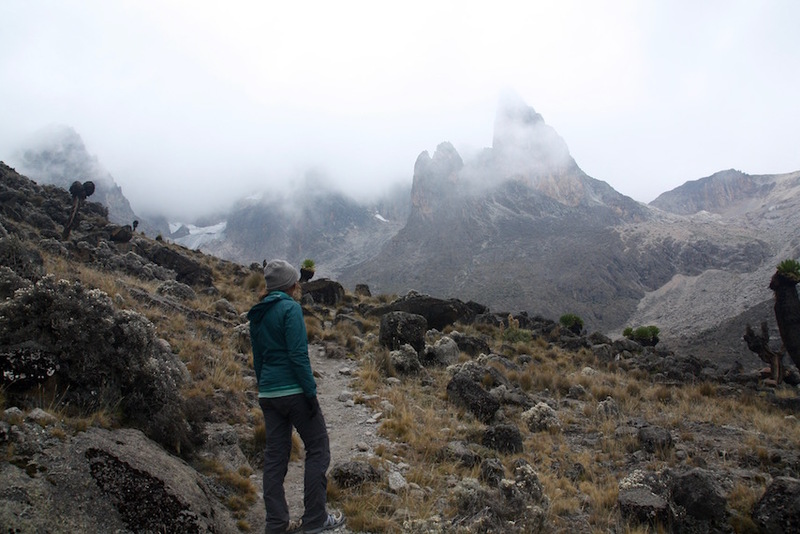 With that said, Mount Kenya is actually a more challenging hike and many think is a more beautiful and dramatic mountain. Ohh and let’s not forget, it is MUCH cheaper. 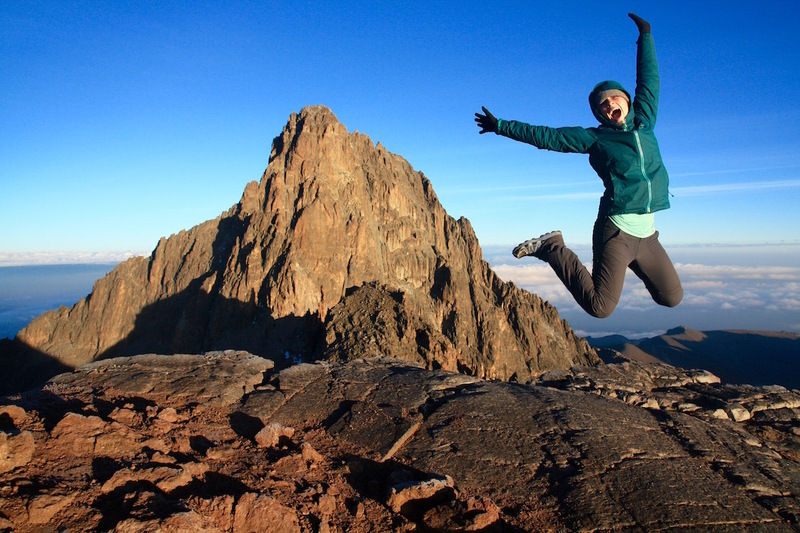 While hiking in Africa does come with a cost, climbing Mount Kenya is a great alternative to Kilimanjaro for those on a shoestring budget. 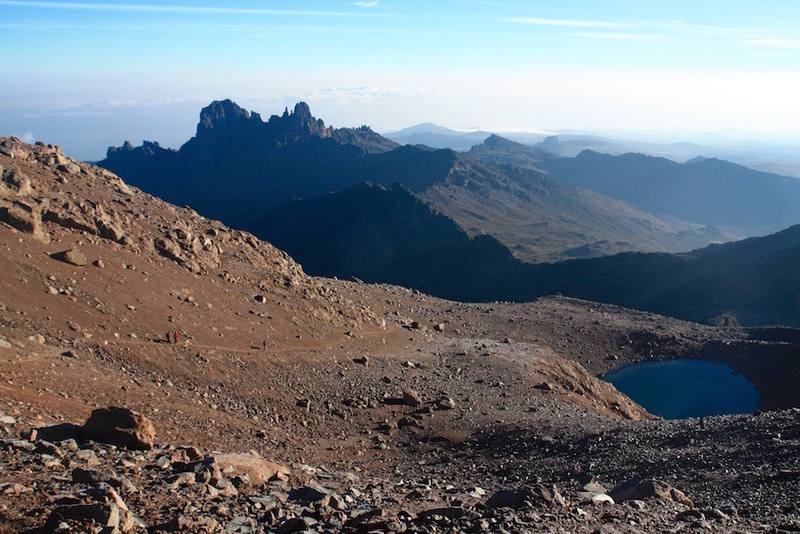 Mount Kenya is a high altitude mountain and extremely steep. 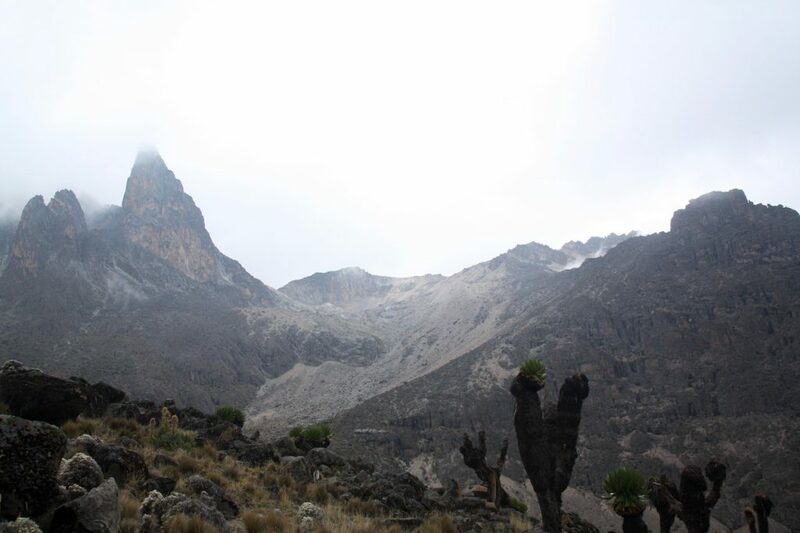 While climbing Mount Kenya is allowed without a guide for groups of 2 or more, it is a serious mountain and comes with serious consequences. 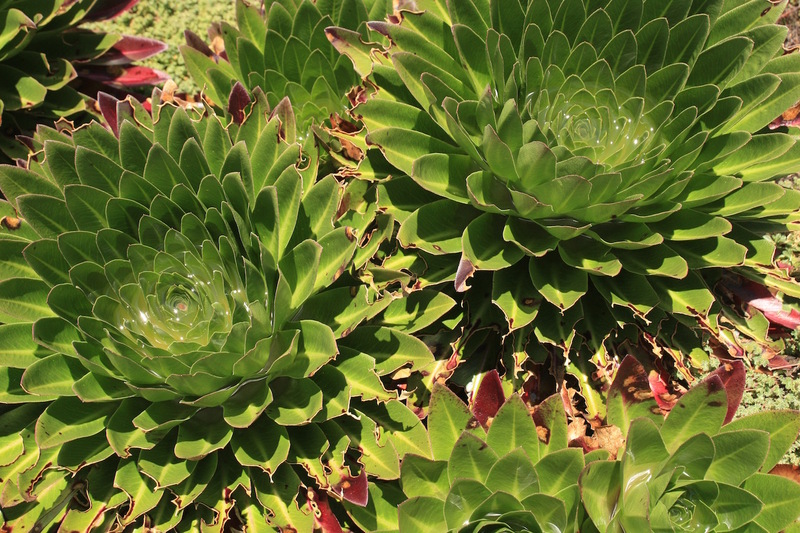 Altitude sickness occurs here often, so proper acclimatization is very important. If you are not an experienced trekker, there are two options that can help on this hike, by hiring one guide or getting full coverage with a guide, porter, and transport. If experienced in high altitudes, this hike is possible entirely self-guided and it is incredibly rewarding. Mount Kenya is roughly 3 hours north of Nairobi. Either hire a private car or take the public matatu (350 shillings) to Naro Moro/Nanyuki depending on your route. Nanyuki is a bigger town and will be easier to arrange everything if going without a guide, yet everything can be done from Naro Moru. Nanyuki is the start to the popular Sirimon Route, while Naro Moru is the start to the Naro Moru route. Depending on your route, stay in Nanyuki or Naro Moro prior to your hike. The Sirimon Route is close to Nanyuki, whereas the Naro Moro route is closer to the village in Naro Moro. Most budget places to stay or campsites cannot be booked online ahead. Staying in Naro Moru: Batians View is a beautiful place to stay. They have banda private rooms in the big house and allow tent camping on their grounds for about $10. 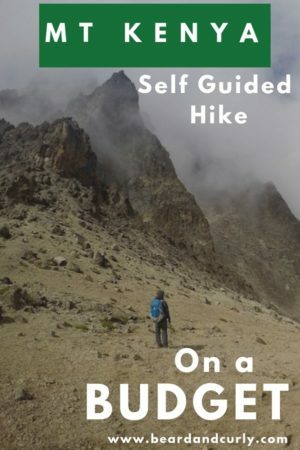 The owner Fred and manager Mary are extremely helpful and can help prepare you for your climb by providing maps, helpful information about the trails, and truths about booking guides on Mount Kenya. If you are a mountain climber coming with your sights set on Batian Peak, Fred is also your guy! Staying in Nanyuki: Town & Country Guesthouse is a nice accommodation with private rooms for $25. 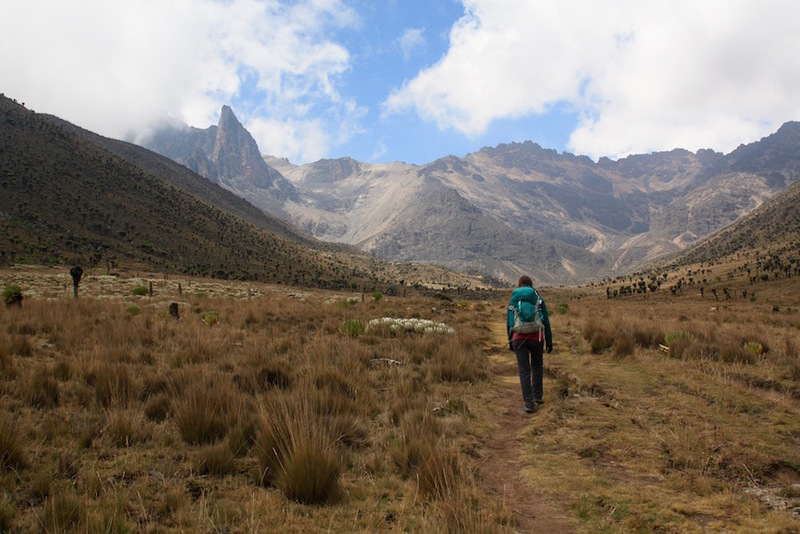 While there likely are good companies to arrange for hiking in Mount Kenya, it is also important to know the truths about booking guides for Mount Kenya. On several occasions, guides lied to us. We had a friend forced to skip a night at Old Moses Camp going up Sirimon and went straight to Shipton’s Camp at 13,800 feet, a dangerous move not allowing for proper acclimatization. Make sure your guide takes safety seriously. On several occasions, guides will say you cannot book a 3-day hike, require payment for a 4-day hike, but they guide a 3-day hike pocketing the extra $50 US per person that they will charge. They may say backcountry camping is illegal, or it costs extra each night to camp. They will try to pocket as much money as possible when there is little truth to what is being told. The only time it is a requirement to book a guide is when hiking solo at Mount Kenya. The park allows only groups of 2 or more to hike unguided. This also applies to rock climbing at Mount Kenya. So, should you just skip the guide and porter and hit the trail? Before you do, I just want to repeat a few things mentioned already in this guide that should not be over missed. This is a high-altitude hike. It also is one of the quickest hikes from the base of the mountain to get to alpine conditions, with glaciers, and above the elevation levels needed for proper acclimatization. This is not a hike to try to rush through. It is important to make sure to have REALLY warm gear. It might be super hot in Nanyuki and Naro Moro before your hike, but up near the summit, the temperatures are consistently below negative throughout the year. Bring the right gear is crucial. Also, sections of the mountain are not properly marked and while crossing screes or near the summit, at times it is very hard to follow a trail. Within minutes all visibility could be lost due to weather, so having very good navigation skills is important. We got turned around and had several instances where we thought we were lost, only to find our way because of trusting our navigation skills (which worked for once, woohoo!). There are ways to prepare for a high altitude hike, and these tips could make a difference in saving yours or someone else’s life. 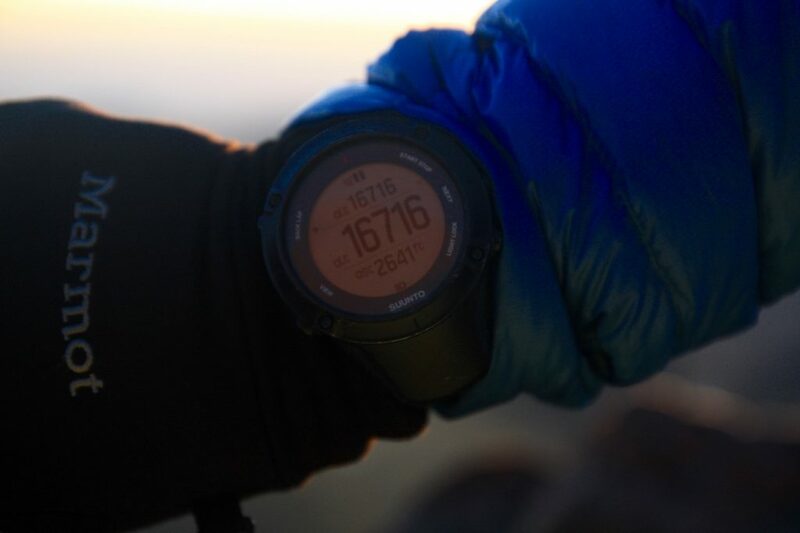 The BEST way to pre-trip acclimatize is to stay for 48 hours in higher altitudes. So…instead of rushing from Nairobi to Mount Kenya and start the hike the next day, it is much safer to stay 2 nights in Naro Moru or Nanyuki, which will already start the acclimatization process. Another great way to acclimatize is to hike up as much of the way as possible. This is much safer than driving up to 10,000 feet and starting the hike. The most important thing for acclimatization is the increase in altitude in which you are sleeping in successive nights. Altitude sicknesses such as Acute Mountain Sickness (AMS), High Altitude Pulmonary Edema (HAPE), and High Altitude Cerebral Edema (HACE) become real threats when climbing above 3,050 meters / 10,000 feet. When going above 10,000 feet, the proper way to acclimatize is to only increase your sleeping altitude by 1,000 feet (305 meters) each night. For every 3,000 feet (915 meters) of elevations gained, a full rest day is a good idea. It is best to “climb high and sleep low.” You can climb more than 1,000 feet in a day, as long as you come back down to sleep at a lower altitude. During the hike, it is crucial to stay hydrated, maintain enough nutrition and avoid inhibitors such as tobacco, alcohol, and depressant drugs (such as sleeping pills) which can all negatively affect the respiratory system while sleeping. Drink a LOT of water during the day and before sleep. Throughout the entire day snack as much as possible, with high energy snacks, and eat a high carb diet when at high altitudes. If there are any feelings of serious mountain sicknesses or even just strong headaches, the safest thing to do is to immediately go down. Even going down a few hundred feet could make a big impact. If you have been at high altitudes before and are known for getting headaches and being very light-headed, maybe preventatively take medicine, such as Diamox, and be prepared with Ibuprofin. Make sure to discuss the route and the itinerary for each day. Most hikes are a 3 night, 4-day hike. Be clear on exactly whether it is possible to meet the 24-hour threshold of making this a 3-day hike or not. Likely, that is already the plan, so only agree to pay for the 3-day permit, not the 4-day permit. It is always possible to pay more at the park gate when leaving if it ends up being a longer hike than expected. 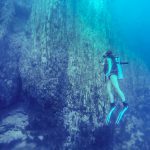 Hiring a guide should cost $80 to $100 USD for the trip. The guide can carry your food and cook your food, which can eliminate the need for a porter and cook for solo hikers and small groups. Buy all the food yourself to cut costs significantly. Agree to camp at Ranger Stations, which are at no additional cost to the one-time $20 camping fee. Cutting down costs of transport can also be possible. For the Sirimon Route, hire a moto-taxi from Nanyuki the beginning of the hike. On the Naro Moru Route, 2-3 miles from the park gate are Matatu’s which go back and forth to Naro Moru for 70 shillings. 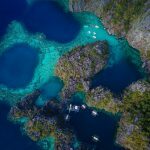 By booking this trip the right way, it should get your costs down between $250 and $350 USD per person for the entire hike. *Please note, these 3 or 4-day entry prices are for 24 hour periods. If entering the park on a Monday at 1 PM, that means with a 3-day permit, you can leave the park on Thursday by 1 PM. If you do not have your own camping gear but want to camp, it is possible to rent gear in Nairobi, Naro Moru or Nanyuki. Naro Moru has a small store called Mount Kenya Expeditions, which rents gear or will get you in touch with someone who has all the gear needed. They are located on the street behind the Chieni Supermarket. Nanyuki has several options for rentals, just ask one of the many guides in town. Camping costs an extra one-time $20 US per person for the entire hike, which covers all “backcountry camping.” This means, camping anywhere on Mount Kenya, but not at one of the huts. If camping at Met Station, McKinders, Old Moses Camp, or Shipton’s Camp, it costs 5,000 shillings per night but provides access to their facilities and some shelter. The other option which we preferred, was to camp at the Ranger Stations for no additional cost. Ranger stations have toilets and running water, and they were extremely friendly and helpful if you need anything. 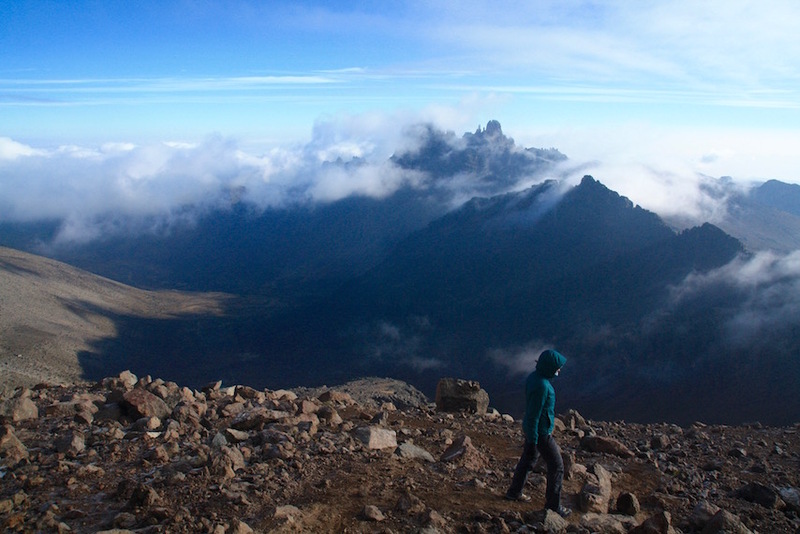 Backcountry camping is permitted on Mount Kenya, just make sure to be near a water source. The shortest and most direct route up to Peak Lenana, this route was once one of the most popular but has been hit by tourism due to the construction of a new road from the park gate up to the highway. While it may not be the most scenic hiking up day 1 on this road, this hike is the cheapest option. It is more challenging than other routes, in particular, a steep section near the vertical bog, and getting from McKinders up to Peak Lenana is extremely steep. 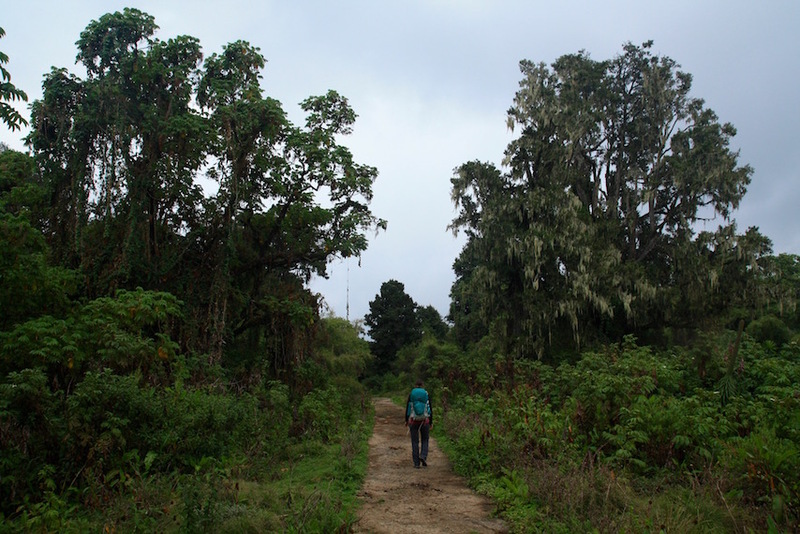 Start from Naro Moru to get to the park gate to start your hike. Camp at the Ranger Stations next to Met Station and McKinders for your nights on the mountain. For full details on the Naro Moru route, this is the route we did, in conjunction with the summit circuit. Full trip details of our route are further below on this post! This very scenic route is more gradual and a little longer than Naro Moru, going through a beautiful valley to the back side of Mount Kenya which comes with the best views of the mountain. It is the best hike for those who are not as experienced with high altitude mountains. 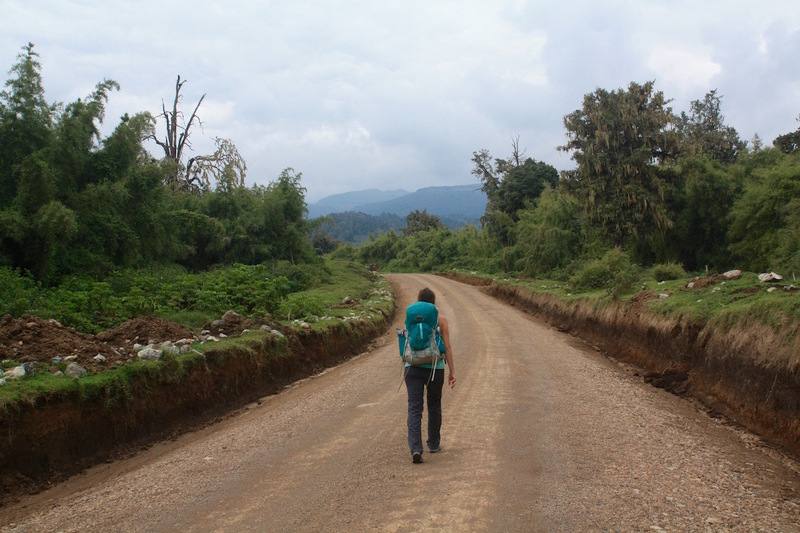 This hike originates from Nanyuki. Hire a taxi, moto-taxi, or private car to from Nanyuku to the park gate to start the hike (and schedule a pick up when finished!). Camp at the Ranger Stations next to Old Moses camp and Shipton’s camp for your nights on the mountain. This route begins from Chogoria town and is longer than the other common routes. The route begins 32km from the park gate, so commonly a 4×4 car hire is arranged. From the gate, walk through a forest with lots of fauna and animals, with the possibility of seeing elephants and leopards. 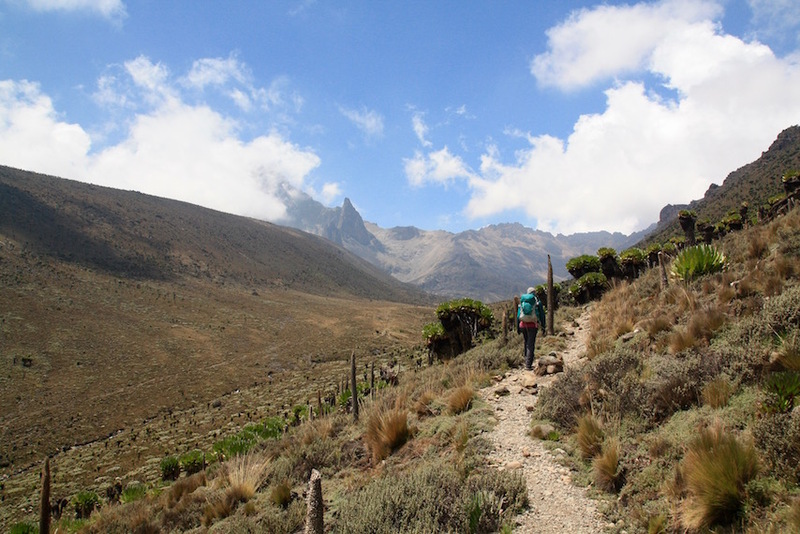 This hike is typically completed in 5 days and is considered by some the most scenic of all routes up Mount Kenya. 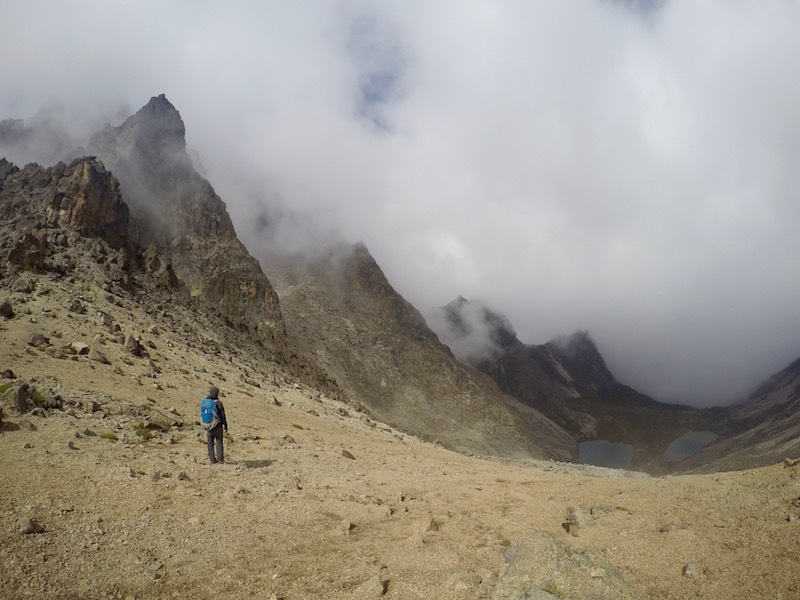 The summit circuit is the best way to see the full beauty of Mount Kenya, but absolutely should not be attempted unless you are an experienced hiker. 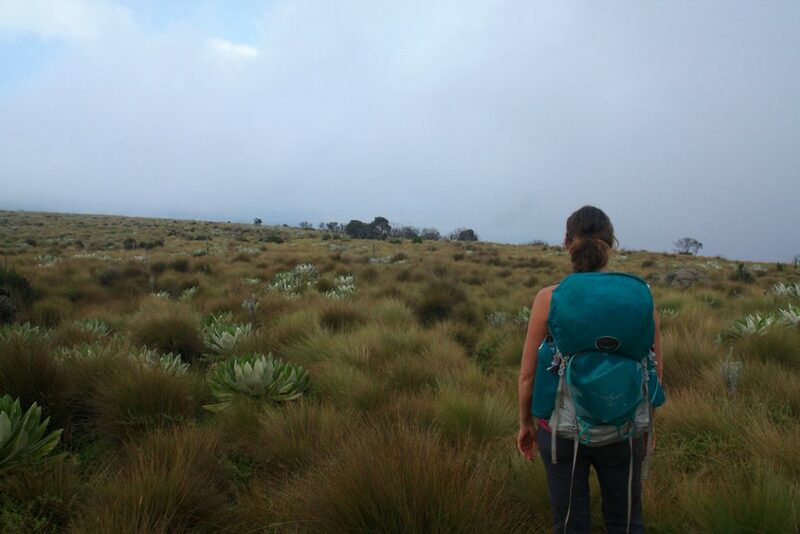 The circuit begins from the summit of Peak Lenana and can go in either direction, but we suggest going back towards Shipton Camp on the Sirimon Route and circuit the mountain in that direction. The circuit comes with some grueling ascents and descents all while hiking at the high altitude of 14,000 feet to 16,000 feet, encircling the peaks to make this a very long but amazing day hike. For full details on the Naro Moru route in conjunction with the summit circuit is at the bottom of this post! What used to be a very common route, Naro Moru is now less popular due to the construction of a road from the park gate up to Met Station. We were there during construction, and it is not the most beautiful route. Day 1 is hiking on the road with construction vehicles driving past us, although by the end of 2018 this should be completed. With that said, this route has some benefits. 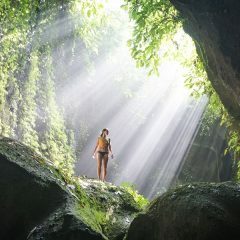 It is the shortest, which can ensure a 3-day hike. Get a matatu from town to the end of the road, 3 miles from the park gate. Begin your hike from here. Hike on the road for 3 miles to the park gate, followed by 6 miles up to Met Station. 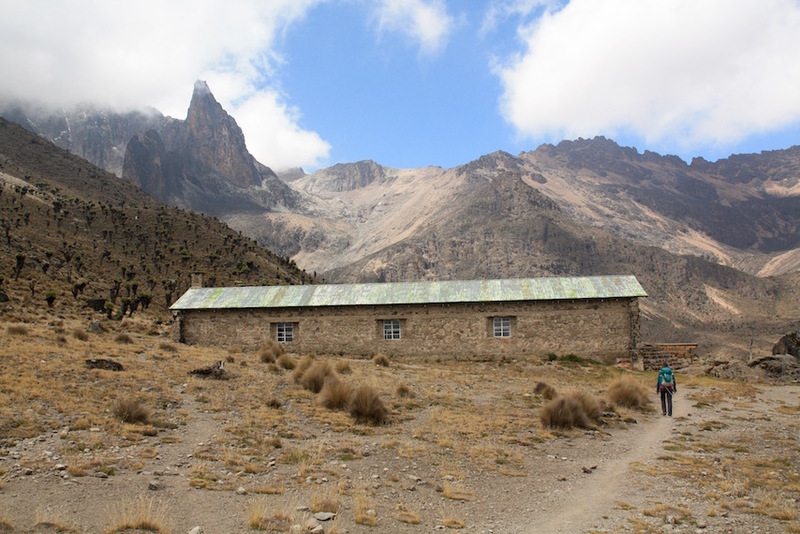 Met Station is your stop for the first night, at 10,000 feet (3,048 meters) it is great for acclimatization. Camp at the ranger station across from Met Station for free. Start by hiking up from Met Station to McKinders, the high camp sitting at 14,200 feet (4,328 meters). This is a big elevation gain, so take it slow! Ascend a steep path for the first mile before finally hitting a proper trail. Once at the trail there is another half mile before reaching a well-known section to get lost in, the vertical bog. The vertical bog is a steep section that often has clouds rolling in and can be very damp and muddy. The ground is similar to that of a bog and sinks beneath your feet. There is a lot of erosion in this section and many paths, so be sure to look for the trail markers. Climb straight up to not get lost. At the top of the bog, the trail flattens out some and its an easy hike the remainder of the way up to McKinders. If staying at the ranger station, continue your hike 5-minutes past McKinders. The final ascent up the hike follows with several options for your third day. Most who do this hike wake up and leave between 2 am and 3 am to climb up to Point Lenana for sunrise. This is no easy task and where a guide would come in handy. The path to Lenana is right next to the ranger station, where you wrap around the valley beneath several large peaks and icebergs. When reaching a massive gravel section that is an extremely steep, this is the path up. Ascend the scree which can be very hard to spot the zigzag trail up the mountain face. 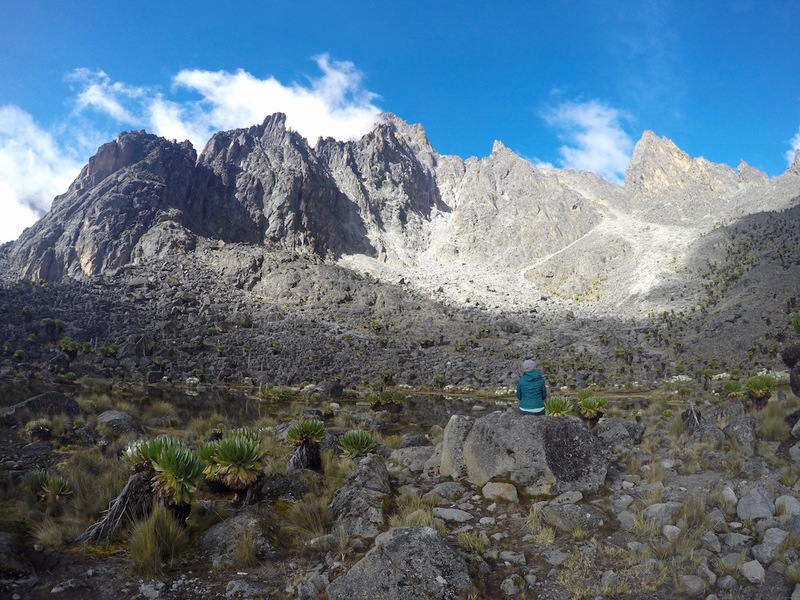 This is the hardest part of the entire hike, and the steepest section we encountered at Mount Kenya. Once reaching the top of the gravel section, continue to the first peak to get to Top Hut, which sits at the base of Point Lenana. From here, it is a 30-minute climb to the summit with the help of bolted chains, the highest via ferrata in the world. After sunset, there are a few options. You can either come back down the same Naro Moru route and begin your descent down the mountain. Another option is to descend down the Sirimon Route. Your last option is to go on the Summit Circuit encircling the peaks, back to McKinders Hut for the night. 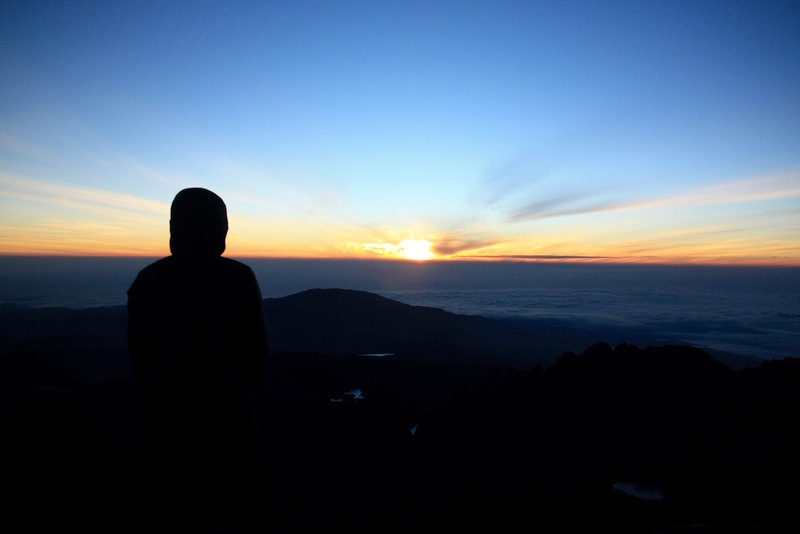 The summit circuit joined together with a sunrise summit up to Point Lenana is no easy task. It should only be done by expert hikers and will come with hours of continuous climbs and descents all between 14,000 and 16,000 feet elevation. This ended up being a 10-hour hiking day, and we hike at a pretty fast pace. 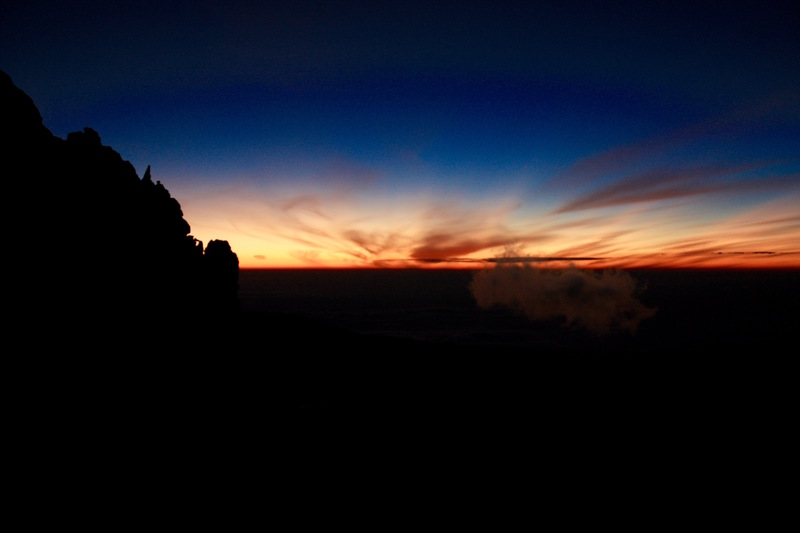 With that said, it will give the best views of Mount Kenya and an unforgettable experience on this beautiful mountain. From Point Lenana, continue down the Sirimon Route. During the steep descent, Shipton’s Camp will be seen lower in the valley. Do not proceed to here. Further up from Shipton’s Camp to your left, in the distance, there is a white shack (and possibly some tents) that used to be the location of Kami Hut. It now is just a small shack and a common camping area for mountain climbers. Veer left off the path and head directly to Kami Hut. There is a small path that straddles Batian. It is gravel scree with a lot of rock boulders. Kami Hut has freshwater so you can fill up on water here. Just past Kami Hut is a steep incline on gravel rocks of light color similar to that of sand. Take this trail up to the ridgeline. From here there are stunning views of Oblong Tarn a few hundred meters below. Descend down to the tarn, where the trail follows the edge of the lake to the other side. At the other side of the tarn, there is a steep ascent up into the saddle. From here, the trail is very visible (if there are no clouds). The trail hugs the mountains to your left, with a small descent followed by a small ascent. Once passed this section, the rock changes drastically to dark damp rocks covered in moss and algae, very different from the other side of the mountain. Continue hugging the mountain, where Emerald Tarn will be seen to the right several hundred meters below. Continue on the path straddling the mountain which will lead to the middle of Two Tarns. The path will pass the left side of the first tarn, and the right side of the second tarn. After the second tarn, the path splits. Stay on the LEFT trail. This trail will eventually descend to McKinders Hut. You can cut out sometimes by zigzagging your way immediately down by following the cairns to American Camp. From here there is a flat trail that leads to the ranger station and McKinders Hut. 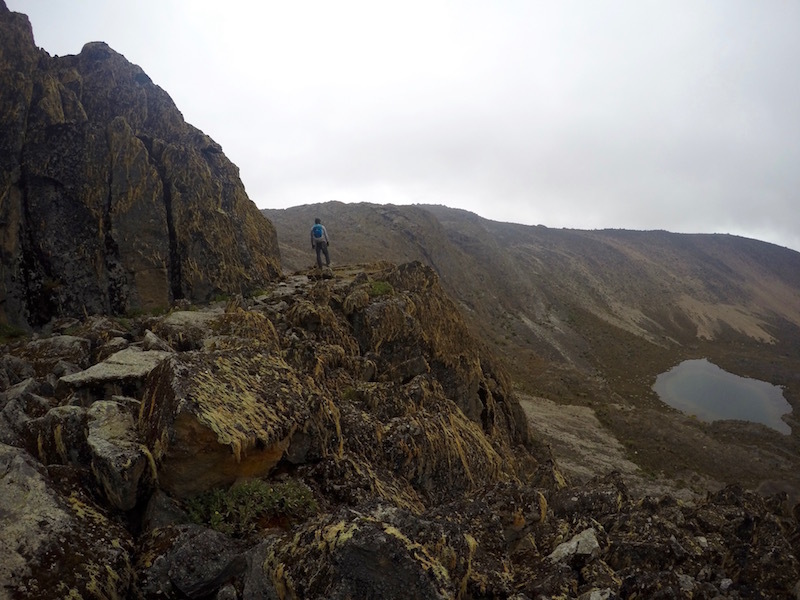 We woke up early and from McKinders Hut descent our same route up Naro Moru back to the park gates. We went pretty fast to ensure we got there by 1 pm, so our three-day pass was valid within the 24-hour rule. It took us 5 hours to descend to the park gate. We took a short break here before another couple miles down to the road where the hike ended.